As a mom of four and a lover of local, I’ve always believed Charlottesville deserved another option for children’s clothing. It seemed the size of the town could support it, and there was a hole in the market for beautifully merchandised, ethically sourced, and fairly priced pieces. I’m so glad Ashley Sharp had the same thought after becoming pregnant with her daughter, Everley. 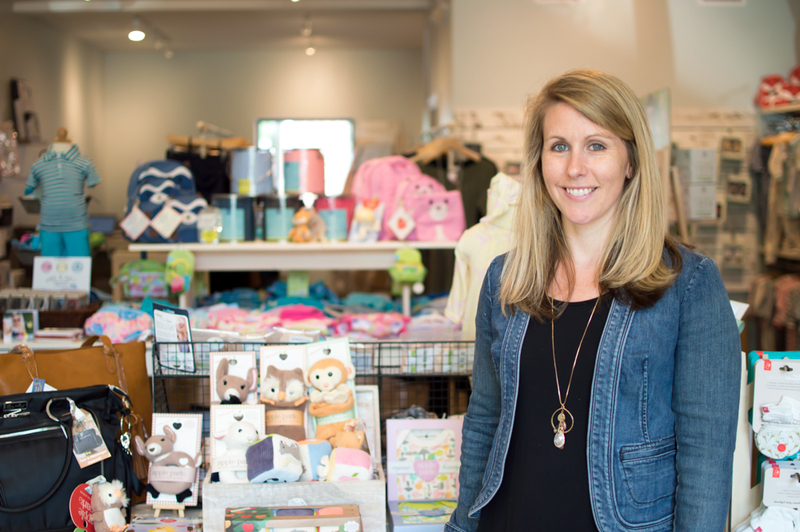 Ashley opened Green Bean Baby Boutique in May 2017, with a newborn in tow. This weekend, GBBB celebrates its one year anniversary, a nod to a season of hard effort and beautiful results. I’m delighted to have Ashley on The Thersday Series today. Happy First Year Anniversary, Ashley! 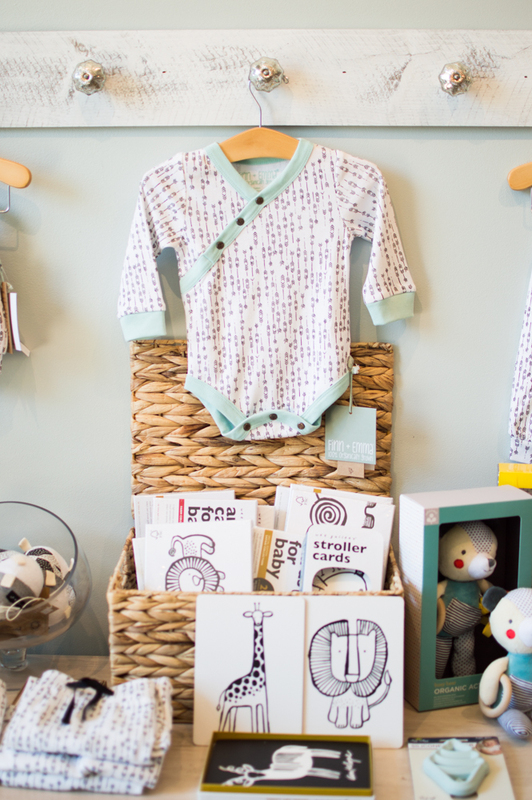 This weekend is the one year anniversary of Green Bean Baby Boutique. Congratulations! Tell us about the journey that led you to opening your business. As I was growing up, I always wanted to be a teacher. There weren’t really any other career paths that crossed my mind. But when I entered high school, I started working at a Hallmark store and loved it. In college, I worked at a local gift shop and felt that same joy. I loved providing customer service, meeting new people, and being a part of the overall retail environment. 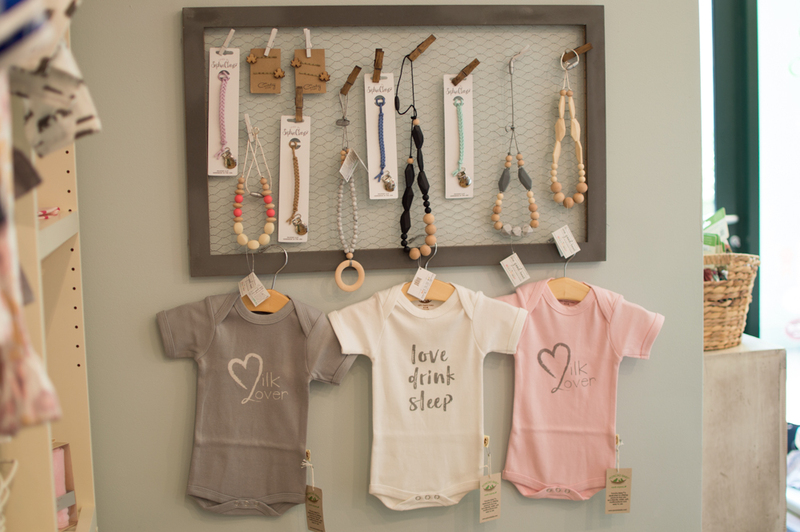 Although I still pursued my teaching career, there was always this little dream that lingered on the sidelines of having a gift shop of my own. I was an educator for 12 years. 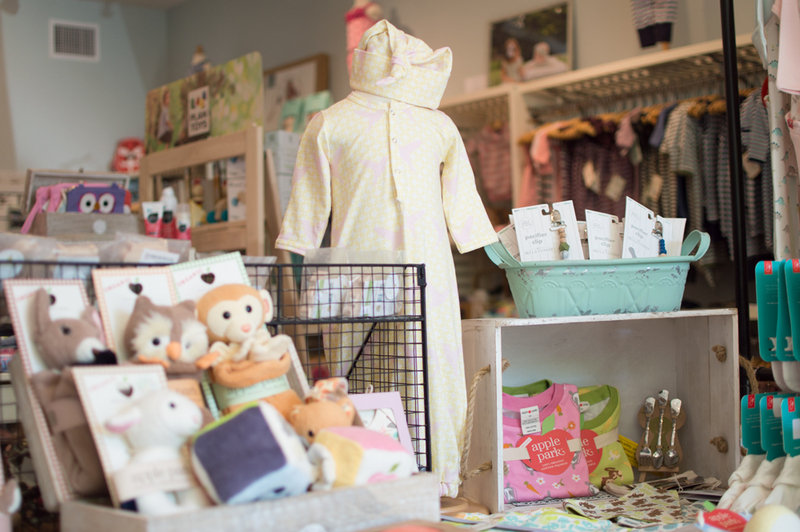 When my husband and I found out we were expecting our daughter, Everley, we set out to shop locally for the best products for her, but I found that there weren’t really many local options. I had already been thinking about my ability to juggle my current profession and be the kind of mom I wanted to be. With my lingering dream of business still at heart, a seed was planted. I brought the idea of business ownership up to my husband and he was on board! 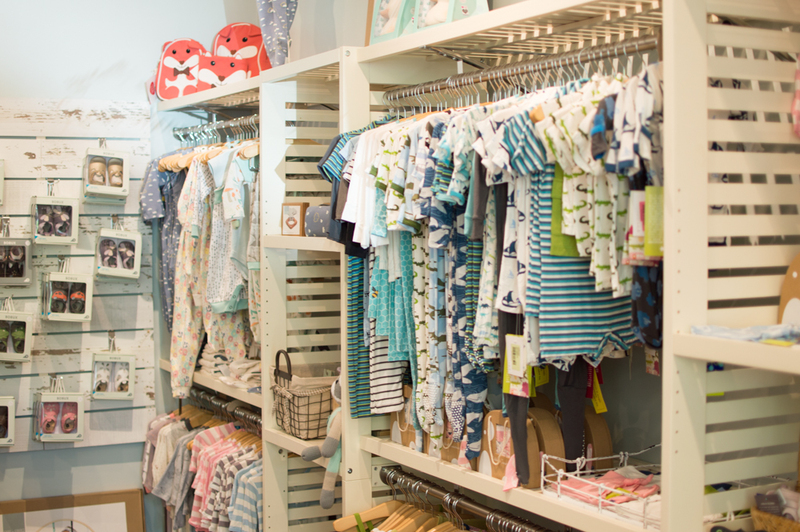 With his business background and my eye and love for retail, we took a leap and opened Green Bean Baby Boutique (GBBB). At one point I was juggling both careers and a newborn baby, but in the end, I know I’m exactly where I should be. 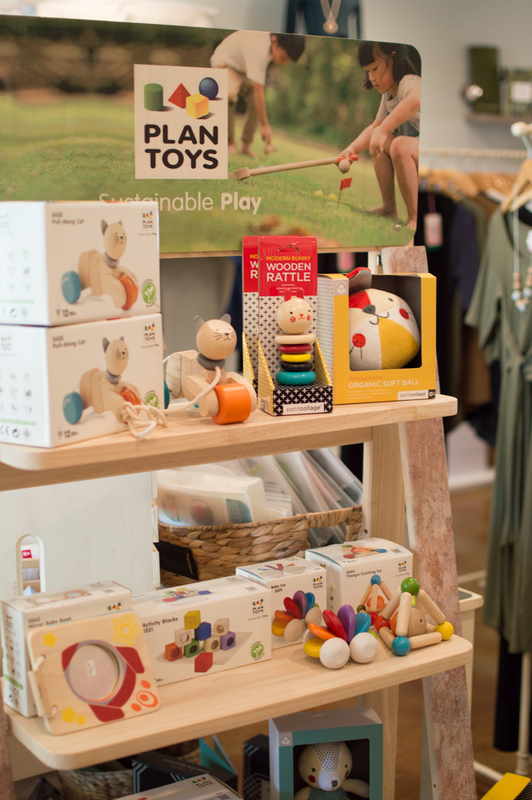 One of my favorite memories along this journey was when Everley was seven weeks old and we took a road trip to our first Children’s Trade Show in New York City. It was the day I realized how truly necessary it is to be able to “wear” your baby, and have several changes of clothes! 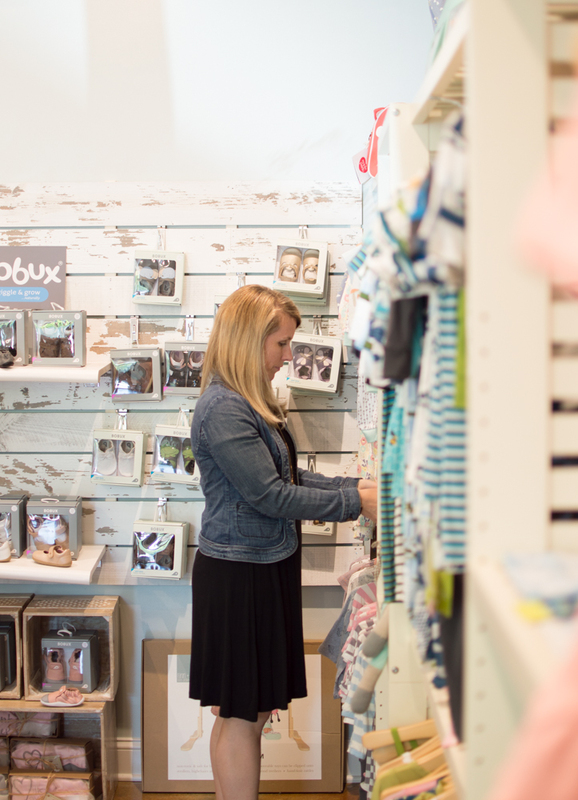 Name the biggest overall lesson you’ve learned in running a retail store. I often have to remind myself why I opened GBBB in order to stay true to the integrity of the business. 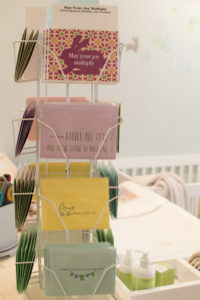 It’s easy to want to bring in the newest product that everyone is raving about because I know it will be a big seller. 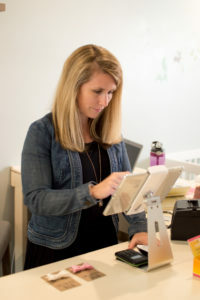 Of course I want my store to be successful but that can’t be at the cost of what I believe in, which is providing safe, high-quality products to local families. I research the products that I bring in and I speak from first-hand experience when selling, as the products in my store are also in my home. You are mother to darling Everley who was just an infant when you opened Green Bean. 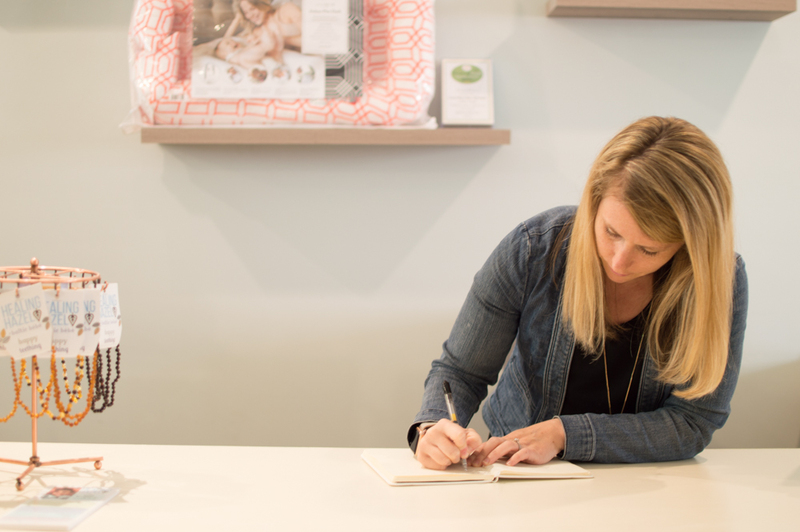 How do you manage the balance of motherhood and business ownership? Dry Shampoo? In all seriousness though, it has to be the “Golden Hour.” I purposely set my alarm for 5:40 every morning (yes, even on weekends!) so that I have time to myself everyday. Each morning, that time is spent differently. Some mornings are gym mornings, some mornings are laundry mornings, some mornings are list making mornings, some mornings are retail ordering mornings, and some mornings are even reading for pleasure mornings! I also love making lists: grocery lists, to-do lists, meal lists, ordering lists, event idea lists, anything that can help me stay focused and organized. Lastly—and probably the hardest for my type-A personality—is letting go of personal and social perfection. I’ve stop asking questions like, Is my house clean enough? and Do they like me enough? And I’ve started asking questions like, Was my family loved enough today? and Did I practice self care today? What would you tell yourself 5 or 10 years ago that you wish you knew then? 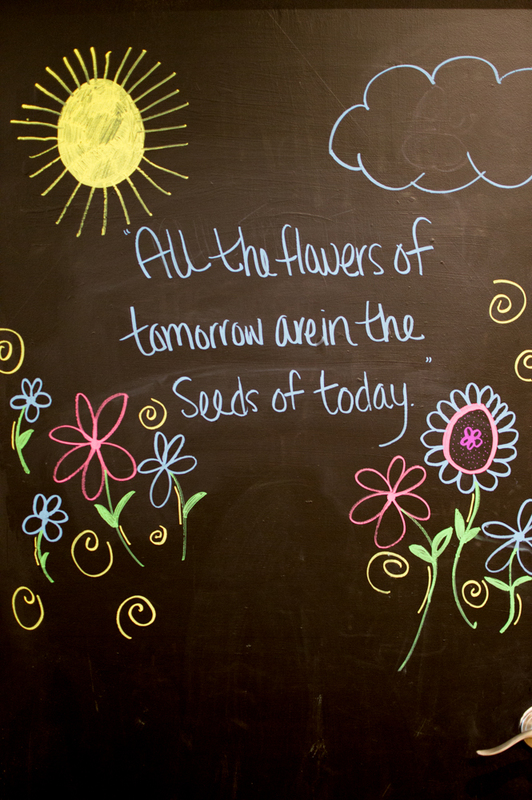 Be kind to yourself and live in the now. Don’t spend time wishing for what is to come. Negative self-talk gets you nowhere and life is too precious not to enjoy your current state. You may not be exactly where you hope to be, but it’s your reality and each of these moments is shaping you into the woman you will become. Who keeps you company in your line of work? My customers! When I worked in education I was surrounded by the same group of people. I built ongoing friendships that were fostered daily. One of the biggest challenges in switching careers was losing that. So now, when customers come in, I love connecting with them and building new relationships. (Sorry if I talk your ear off when you come into the shop!) My mom also keeps me company. 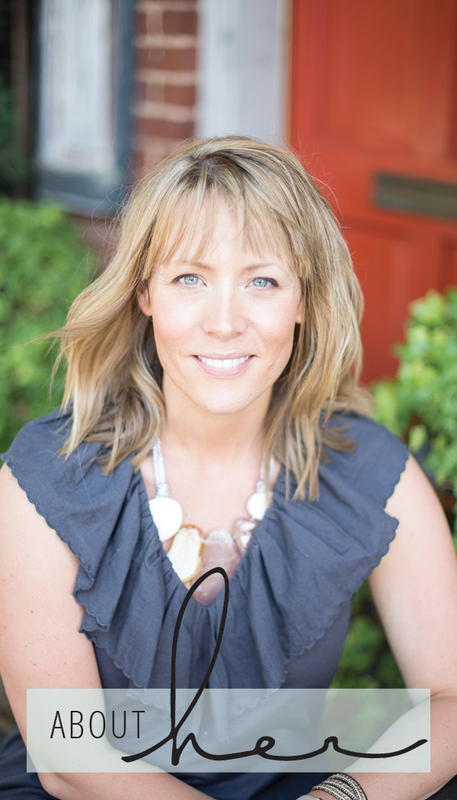 As a local business owner she has been a mentor for me. She often comes to be with me in the store to help create displays, unpack new product or just chat over coffee.